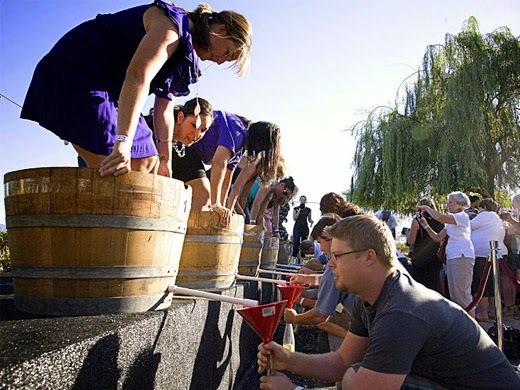 California Wine Month is in full swing and the Vineyard Pavillion at Ponte Family Estate in Temecula is celebrating with its annual Grape Stomp from 4-9pm on Sunday, September 28. Now in its 12th year, the event takes a fun, competitive approach at teaching attendees about the art of winemaking. Teams of two will stomp, eat, drink and dance the night away as they compete for special prizes. A separate competition is held for children, making the 12th Annual Grape Stomp the perfect harvest event for families. A chef-prepared harvest buffet featuring delicate dishes such as 12-hour braised pulled pork Italiano and rigatoni and rock shrimp scampi will be served to attendees, paired with a variety of Ponte’s top-rated wines. Classic acoustic rock duo The Lookouts will perform a special selection of songs to close out a perfect harvest night at the vineyard. Tickets to the Grape Stomp are $95 for adults, $76 for Wine Club members, $46 for children 12 and under and $36.80 forchildren of Wine Club members. 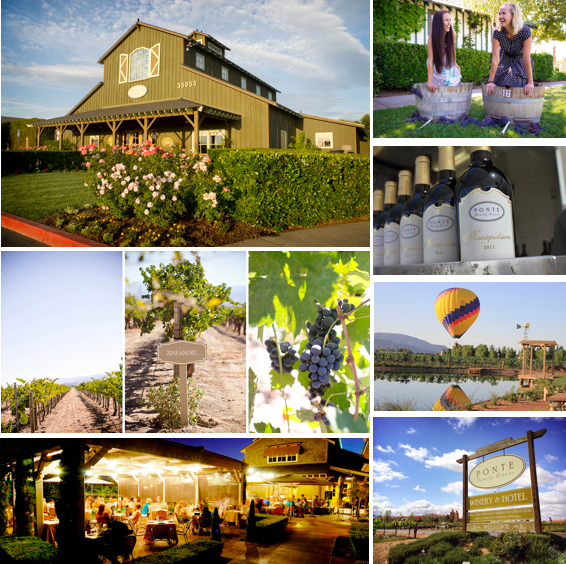 Accommodations are available at the Ponte Vineyard Inn, Ponte Family Estate’s upscale 60-room hotel. With majestic vineyard views, upscale amenities and luxuriously comfortable beds in every room, Ponte Vineyard Inn is the ideal place to relax and refresh after a day of harvest festivities. Ponte Family Estate is located at 35053 Rancho California Road, Temecula CA 92591 or on the web at pontevineyardinn.com.